Three FREE Gifts From Shutterfly! Just Pay Shipping! Today only (8/11) you can score a FREE Gift from Shutterfly! 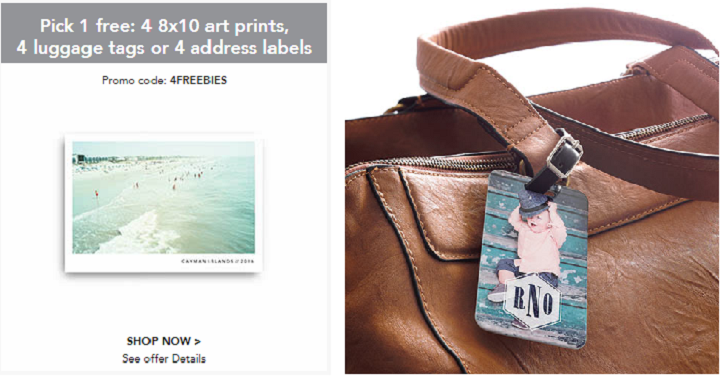 You can choose from 4 sets of address labels, 4 small luggage tags or 4 8×10 art prints – just pay shipping! Cost of shipping will depend on what you choose but they still make for great deals. Just use coupon code 4FREEBIES at checkout.